Winter 2005. Russian gas is locked in a border dispute between the former Soviet republics. Half of the Old Continent remains dry with repercussions on the daily lives of citizens. The astonished Europeans think they are watching a film made by a director with a rich imagination. The Orange revolution in Ukraine was an unexpected accelerator, which laid bare the reality of the EU enlargement to the East after May 2004 and also showed how the First Europe, the Europe of the Fifteen, was unprepared to deal with such unimaginable situations. Old enmities and rivalries have re-emerged from the limbo of history; energy has suddenly become an instrument of geopolitical pressure. 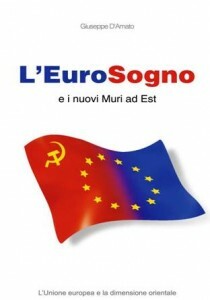 To be or not to be part of the Euro-Dream means nourishing the hope of creating a humanly sustainable society and economy in a transnational free, democratic and rights-based entity. Those who remained outside or on the margins of the EU are now pushing to join this project. After the first post-Soviet troubled decade the Russian Federation has re-emerged as a regional power, thanks to an incredible economic revival. Moscow no longer sends military personnel in uniform around the world. The white collar workers of the monopolist Gazprom are enough. The continuation of the Old Continent’s role as a player in the globalized world depends largely on the not always easy relationship between the two poles of Europe. The purpose of this work is to report on the life of these countries – some of which are in whirling change -, the historical paths followed, the social and economic changes. In a period of bitter conflict between elite, public opinion is in danger of becoming a victim of falsification, exploitation and extreme generalizations. Minsk or Mensk or Miensk?